Major transformation will take place as Tottenham Court Road becomes two way to traffic, improving journey times, reducing congestion and making bus journeys less confusing. All buses will be moved to Tottenham Court Road and, for the first year, the new southbound lane will be open to buses and cyclists only – 24 hours a day. By the end of 2019, Tottenham Court Road will also see the delivery of new local green spaces and restoration of the much-loved Fitzrovia mural. The council will also be creating a new diagonal road crossing at Tottenham Court Road tube station in the spring of 2020, which will greatly improve the pedestrian flow in the area. Once the project is fully completed in spring 2020, areas of the southbound lane on Tottenham Court Road will open to traffic and there will be sections of both the north and southbound lanes restricted to buses and cyclists only between 8am and 7pm Monday to Saturday. “This will improve the area for pedestrians and cyclists, and make bus journeys less confusing and more efficient. 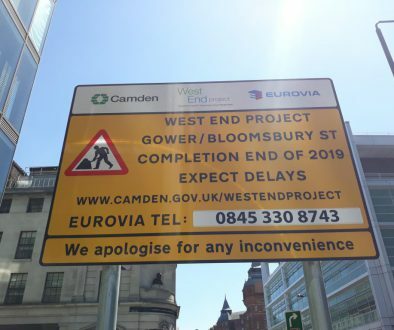 “All buses will use Tottenham Court Road from the afternoon of Easter Saturday and it is important to note that there will no longer be any buses serving Gower Street and Bloomsbury Street. This will make bus journeys more efficient and you will be able to get on and off your bus on the same street, facilitated by the new bus stops along Tottenham Court Road. “Switching to two way is a major change for Tottenham Court Road and we are working hard to make sure that people are aware of the positive impact on the journeys they make and the importance of being prepared for this change. 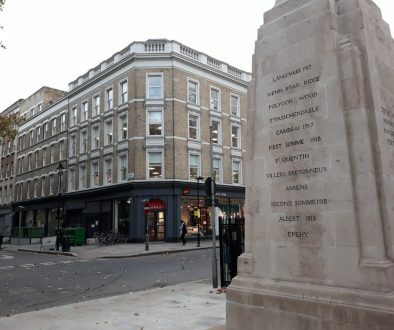 As well as the changes to the road layout, all the other associated Tottenham Court Road improvements will also be finished at this time, so pedestrians can enjoy the widened pavement and the fully restored historic Grade II listed lampposts – which were the very first electric street lighting anywhere in London. 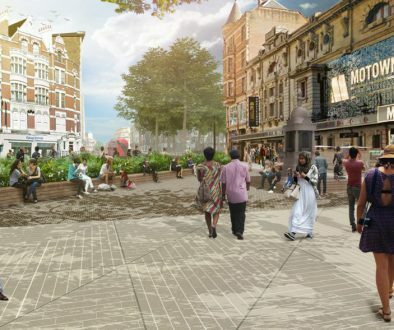 “The Mayor’s Healthy Streets programme is making London’s streets more attractive, accessible and people-friendly, encouraging Londoners and visitors to walk, shop and enjoy their streets. There may be some short-term localised disruption whilst these changes are being implemented and commuters and motorists are advised to check online at: www.tfl.gov.uk/plan-a-journey before they travel.